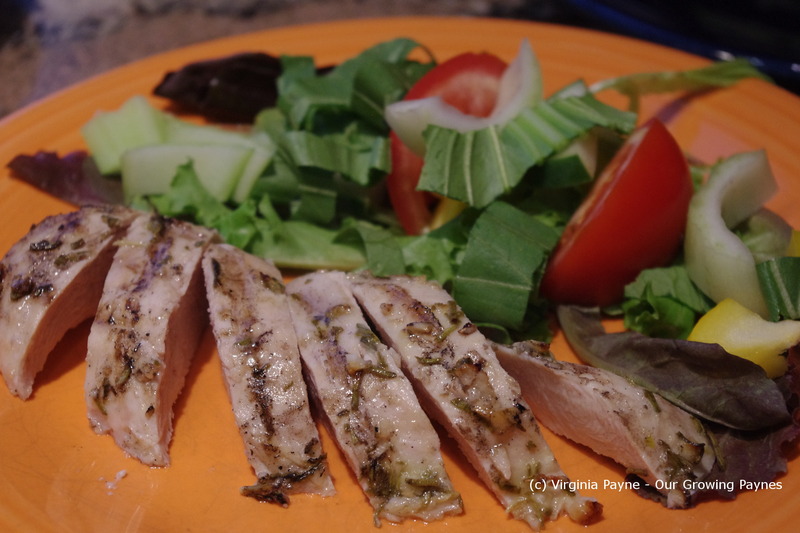 Lemon Rosemary Chicken – Will it cure heatstroke? It’s a scorcher out there! Though I suppose it had to happen as it is summer. 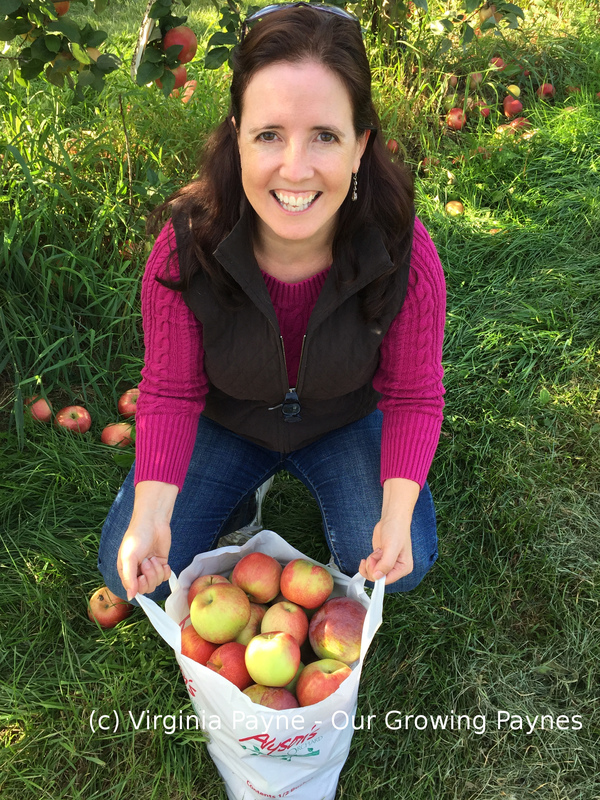 I feel a bit bad for our kids as they are doing a Revolutionary War camp here in town and they had to go to the farmers market to barter with goods they made. In their costumes. And they are making soup for all of us tomorrow. It’s a great camp, they learn about the 18th century, make food like butter and jam, and crafts. But as A/C wasn’t invented then they have to find other ways of keeping cool. But they love it and I think this is their 3rd or 4th time doing this. Last night I wanted a quick dinner and as my daughter and I love salmon that was on the list. 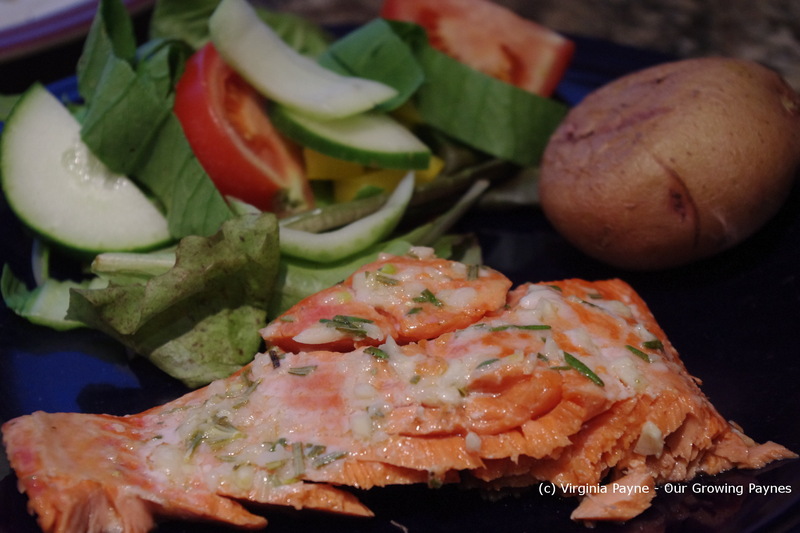 I bought some wonderful wild sockeye salmon for us and some chicken for my husband and son. 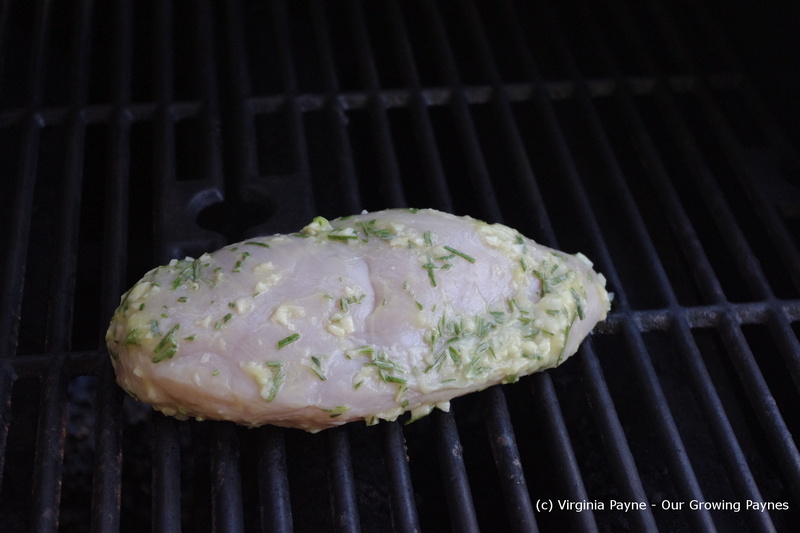 I needed to come up with a marinade that would work for both proteins. Just needed to keep it simple! 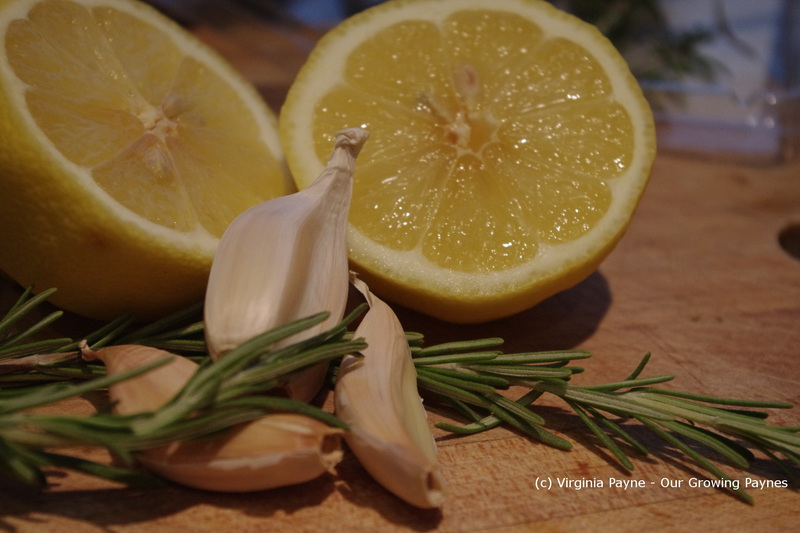 To make the marinade I mixed fresh lemon juice, olive oil, garlic and rosemary together. I only marinated the chicken and salmon for about an hour. I got the grill going, cleaned it off, left it for twenty minutes while I did laundry, and came back to find it was only just warm. Barely hit 300F. Something was up. I gave it a shot anyway and put the chicken in to see what would happen. I had the baked potatoes ready to finish off as well. After awhile I gave up and heated up the toaster oven for the chicken. I kept the potatoes in there and put the salmon on the grill as that doesn’t have to get as hot as the chicken. Fortunately it all came together. This entry was posted in Chicken Recipes and tagged chicken, cloves of garlic, cooking, dinner, food, lemon, olive oil, rosemary, salmon. Bookmark the permalink. Looks good for any time of year. This sounds delicious! Rosemary, garlic, and lemon belong together, especially when used with chicken. It really is a great flavour combo. I should use it more often! Oh I know but it was so hot I didn’t want any ovens on! Even with A/C. Very nice indeed. We are suffering heat here in Ireland. Suffering is stretching it but it is very warm. These look delicious. I make a similar recipe, Chicken with Rosemary and Bacon. I make it on the stove top, though, and it is fabulous. Three great flavors! Bacon and rosemary go very well together!